Speedrunning is all about going fast, which can mean shattering world records or performing wild feats. But for many players, speedrunning is less about spectacle and more about self-improvement. 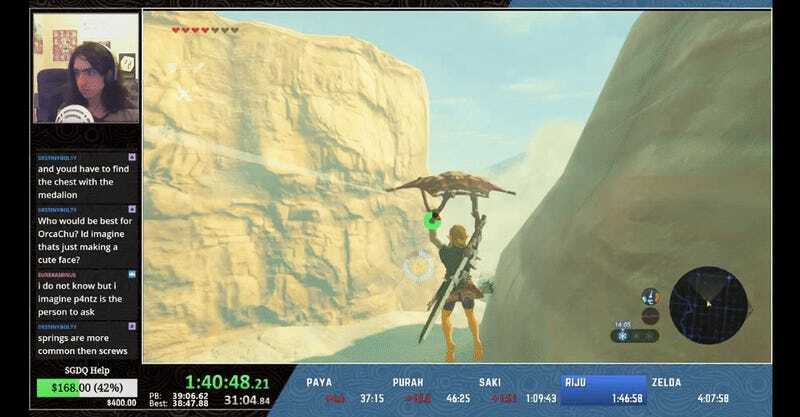 From Any%, which seeks to beat a game as fast as possible to the daunting 100% runs that collect every little knick knack, there’s all sorts of ways to speedrun a game. Players have raced to destroy all of Mario Kart 64’s trees, played for days to fully complete Breath of the Wild, and even tried to see how fast they can get banned from online games. It’s all about setting a goal and achieving it. 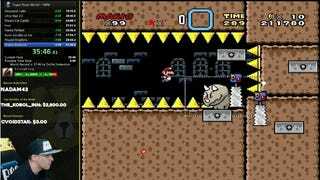 GrandPOOBear, a speedrunner who focuses on a difficult Super Mario World hack, took up the hobby after a major snowboarding accident. “I broke my knee,” GrandPOOBear told Kotaku over a Discord call. “I broke my back. I had a ton of injuries.” Left in extensive recovery, he filled his time with video games. The hobby eventually ballooned into a full-time job as a streamer. “I just decided that I wanted to get really good at one thing,” GrandPOOBear said. For GrandPOOBear, speedrunning isn’t just a job, or a way to make new friends. Every new run is a chance for self-improvement: there’s always a way to go faster. For GrandPOOBear, the appeal of speedrunning isn’t just about getting great times, but also from watching growth over time. He notes that he recently spent nine hours trying to learn a trick that saves one and a half seconds. Specifically, he wanted to find a way to consistently reach maximum speed in Super Mario Bros. 3’s world 4-1. It requires finding the best path through the level while maintaining a breakneck pace. It’s a lot of work for a small improvement long run but it is improvement nonetheless. The repetitive process of practicing doesn’t always make for great stream viewing in the moment but can lead to faster runs down the line. Long periods of practice can eventually lead to stunning results. Improving times demands a high level of play where players break games, blast through difficult levels, and leap to the top of the leaderboards. The competitive drive can become intoxicating, and the allure of a world record is strong. It can be easy to get lost in the race to become number one. A dazzling world record doesn’t just mean bragging rights; it can lead to media coverage and increased viewers or subscribers. Streaming applies social pressure on speedrunners who broadcast on Twitch and YouTube. Players have to juggle their own expectations with those of their viewers. 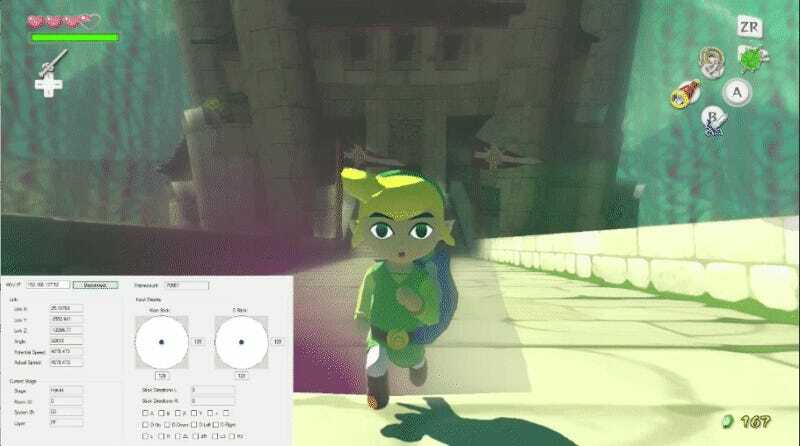 When the legendary “Barrier Skip” was found in The Wind Waker HD runners like gymnast86 sat down for nearly four hours to find a consistent method for performing the trick. It meant slowly positioning Link at the right coordinates and watching him slip, slide, and run in place for hours until he broke through the barrier. Viewers were eager for a world record run with a Holy Grail glitch but had to wait through hours of testing. Meanwhile, runners were content to experiment with the game. For many runners, the records are exciting but it is the process itself that holds the most appeal. Runners, like gymnast86, will spend hours learning new secrets. Wright notes that the pressure to remain social while focusing on a run can be stressful when aiming to improve personal bests or perform well. “Sometimes I have difficulty talking [to chat.] Those moments feel the worst to me,” Wright said. Orcastraw focuses on expanding her stream’s community while chasing personal bests. The disconnect between a runner’s desire to improve and viewers’ hopes for the next big run is unfortunate. Speedrunning is full of human stories even when records aren’t on the line: last minute taunting against bosses, sudden, run ending glitches, and massive displays of charity. In spite of this pressure, runners are doubling down to focus on their own self improvement, whether that’s faster times or personal growth as an individual.